This article was originally published in Island Parent Magazine. Have you ever hiked through the forests of Vancouver Island and come across rivers bursting out of the ground from seemingly nowhere? Or have you followed the path of a creek to find that the rushing water disappears underground? If you have, you’re likely walking on a karst landscape with a complex cave system of limestone, dolomite or marble beneath your feet. Vancouver Island has more caves than all of Canada combined. These caves are a result of the large limestone deposits that span along its length. Where this soluble rock is exposed to rainwater or to the surface of the earth (epikarst), we call this a karst landscape. Thousands upon thousands of years of rainwater carves the bedrock through alchemy and time. This forms the magical architecture of underworld sinkholes, caverns, caves and disappearing rivers. This phenomenon happens to correlate with Vancouver Island’s spectacular ancient rainforest. If you were to take a flight above a karst forest, you’d see a richer colour in the forest canopy. 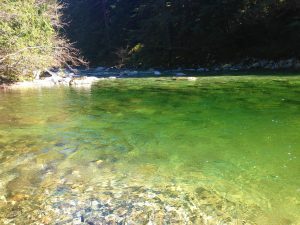 The most productive salmon-bearing streams in coastal B.C. feature karst somewhere within their river system. These limestone deposits have the same basic chemistry as coral reefs, oyster shells, eggshells and antlers. After the last Ice Age, rich nutrients were left behind by receding glaciers. These provided the food today’s old-growth trees needed to develop into some of the planet’s most unique and magnificent forests. Over time, that fertile topsoil has been sucked up into the trees and other plants, carrying on the lifecycle of ancient forest ecology. This has helped create towering nutrient-rich cedar, spruce and Douglas fir trees with roots clutching coral limestone bedrock. This gift of glacial nutrients only comes once. It now exists only within the decomposition cycles of dead plant matter and fungus on the spongy forest floor. The topsoil has also been pulled down into valley bottoms and waterways, creating healthy salmon-bearing rivers and exposing the karst bedrock below. 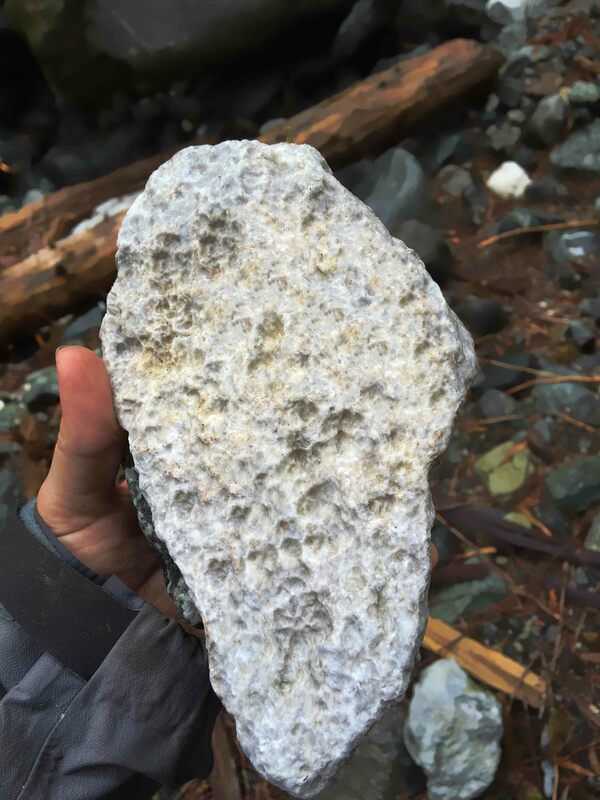 When a karst landscape gets this nutrient gift, one of the most endangered ecosystems on Vancouver Island is created: old-growth karst forests. Unlike Alaska and Washington where there is stringent protection, British Columbia has absolutely no legislated protection for karst landscapes or even caves. A Cave Protection Act has been tabled for first reading in the B.C. Legislature more than once and the U.S. federal Cave Resources Protection Act was made into law over three decades ago. Yet the logging industry’s death grip on the provincial government seems to block attempts for legislation. Karst or cave protection might damper logging companies’ profit margins, so there is little political will to regulate. There is also no protection for rivers or creeks that ‘disappear’ underground. Logging and road building is legal on top of areas that could be massive cave and karst systems. Not only is this dangerous to workers and a risk to public health, but it is belligerent negligence of a fragile ecosystem. The logging culture on northern Vancouver Island is extremely cavalier, which is unfortunate as the north end of the island has the most caves and karst landscape features. The legendary Maquinna Cave near Tahsis has had its entrance covered and desecrated with logging and road-building debris. Logging-caused slides near Holberg have flooded out entire cave systems and clogged water drainage systems older than the country of Canada. The forest of the Walbran Valley and northern Vancouver Island’s East Creek sit on top of karst limestone. 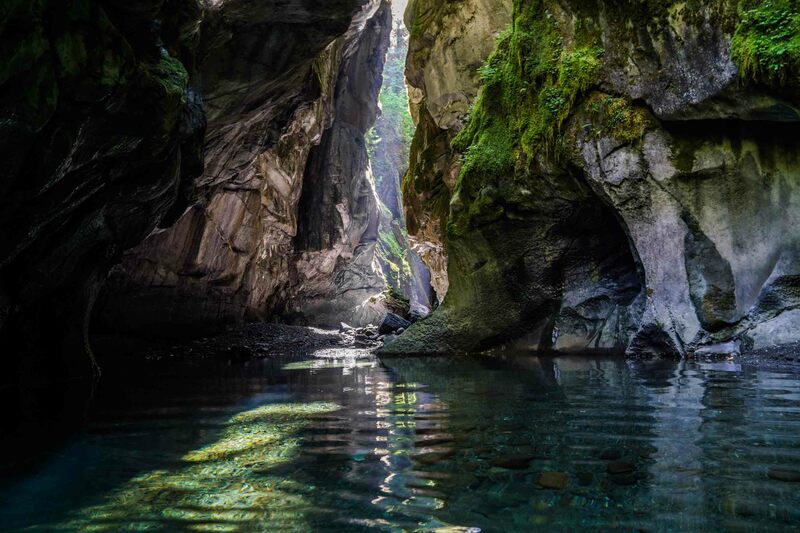 Within the Flathead Valley of B.C.’s southern Rockies lies the deepest cave systems in North America. All of these cave systems are vulnerable without legislated cave or karst protection. Yet there is hope for these magnificent places. First Nations leaders are asserting sovereignty over their lands and sacred cave sites. The Horne Lake Caves boast 17,000 visitors per year, and they recently received Destination B.C.’s first-ever Remarkable Experiences Award. Through ecotourism and parks, the public is becoming more and more engaged with the fascinating and fragile world below the roots of the ancient forests of Vancouver Island. So get out there and explore! Feature image by Charly Caproff. Across the province, a mysterious ecosystem has been developing for tens of thousands to millions of years. Created by the dissolving action of slightly acidic rainwater on carbonate bedrock (e.g. limestone), karst lands are a Tolkien novel brought to life. Massive old-growth trees flourish on the epikarst, the exposed upper zone of a karst system. Their gnarly roots reach into the depths of the underworld, in search of water and nutrients. The excellent drainage and nutrient recycling provided by the karst results in coastal old-growth trees with impressive height and diameter growth. According to Martin Davis, a karst biologist, the only trees comparable to those in the karst lands are found in areas of deep soils and alluvium. His field observations suggest that old-growth trees underlain by karst are healthier and larger in comparison to ancient trees growing on non-karst substrate in adjacent areas. Rainwater comes into contact with the epikarst, gradually opening up fractures in the limestone. The water slips through the subsurface, connecting with a cave stream. Alternatively, surface streams may suddenly “disappear” into the secret world beneath our feet, forming a subterranean river. 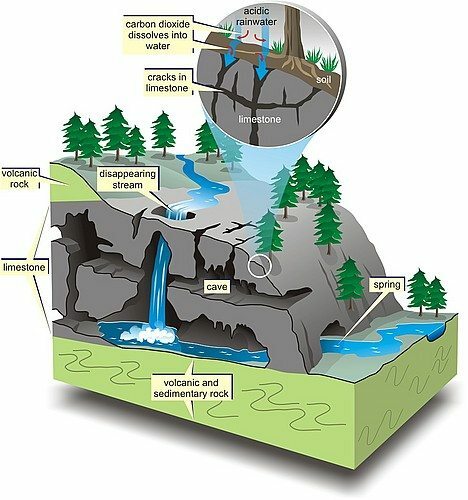 Karst Diagram. From: McColl, K. M. et al. (2005) Geoscape Nanaimo, geoscience for central Vancouver Island communities. Geological Survey of Canada, Mischellaneous Report 87. Retrieved April 12, 2016, from CGEN Archive [http://www.cgenarchive.org/uploads /2/5/2/6/25269392/poster-nanaimo_e.jpg]. Rare and endangered species dwelling in the karst cave systems, such as the Quatsino Cave Amphipod (Stygobromus quatsinensis), are completely dependent on dissolved nutrients transported by the water. Eventually, karst waters reemerge at a karst spring, flowing perhaps into a drinking watershed, or into a fish-bearing stream, such as the Walbran River. I returned to the Walbran in early April to test the electrical conductivity (EC) of surface streams flowing throughout the valley. This research was part of my environmental capstone on Coastal Karst Ecosystems, a graduation requirement from the SFU Bachelor of Environment program. Electrical conductivity (EC), the capacity of water to conduct an electrical current, is typically 5 – 10 times greater in karst waters in comparison to non-karst waters. I was interested in determining whether the karst had a noticeable effect on the physical and chemical properties of the water. 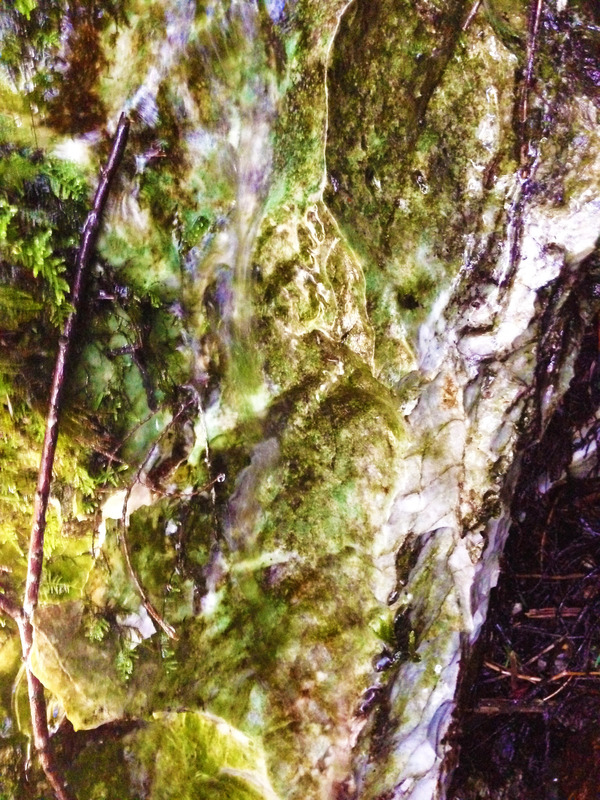 The results suggest that surface streams within and adjacent to cutblocks 4403 and 4405 in the Walbran Valley are influenced by karst. These areas contained limestone outcrops, ancient trees growing on the epikarst, and sinkholes, features indicative of karst lands. 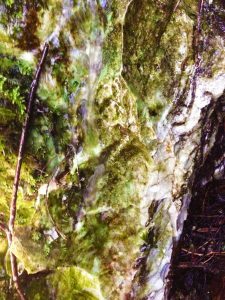 As a rule of thumb, karst waters will have EC readings greater than 50 µS/cm, according to B.C.’s karst expert. Many of the water samples had EC readings four times greater than the benchmark value. All of the samples had slightly alkaline pH readings, which is also a good indicator of karst waters. Perhaps there is a reason why people feel “electrified”, “energized” and “rejuvenated” after swimming in the Walbran’s jade green waters. 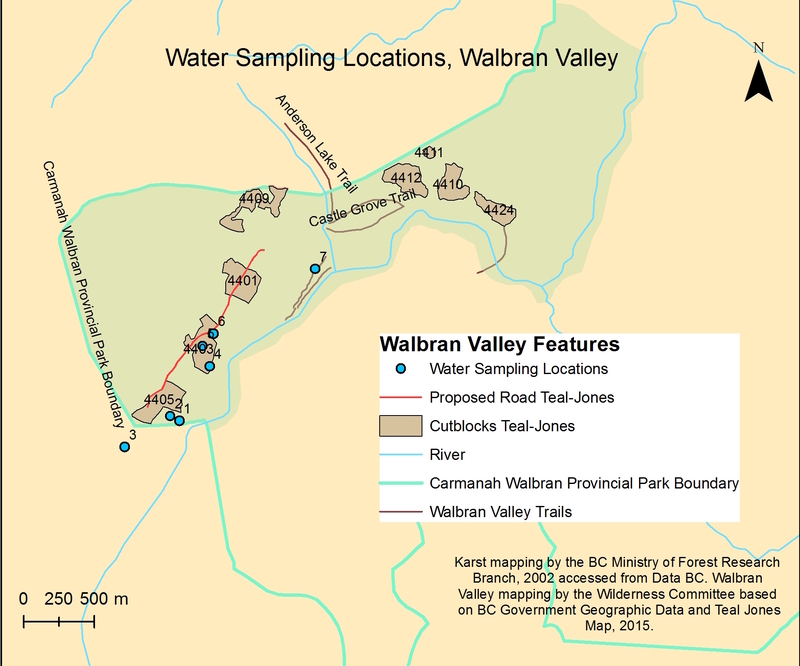 Why is it important to determine if karst waters are present in the Walbran Valley? Preliminary studies conducted in southeastern Alaska have found that fish-bearing streams fed by karst waters are eight – ten times more productive in comparison to non-karst streams. This is likely attributed to the constant, cool karst groundwater flows, dissolved carbon inputs and slightly alkaline conditions. While highly productive, karst systems are extremely vulnerable to contamination because the surface water receives minimal filtration as it flows underground. In Walkerton, Ontario, seven people died and thousands fell ill when runoff contaminated with E. Coli flowed directly into a karst aquifer via underground streams. Greater research and protection measures need to be taken in karst areas, as they are susceptible to disruption and can have direct influence on aquatic ecosystem and human health. Teal-Jones has proposed to construct a road through the heart of this highly sensitive, karstified landscape. Directly below the proposed road on a steep slope, lies a karst swallet, an opening in the surface where water drains into an underground channel. During my previous visit to the Walbran in October, surface water was rushing rapidly into the subterranean world. In April, a small subsurface stream could be seen flowing over the pure white limestone. Cavers have noted that because there is a lack of surface streams in the area, it is likely that there are extensive subsurface karst water systems draining into the Walbran River. B.C. needs to adopt karst ecosystem-based management, similar to Alaska, in order to ensure that the entire karst system is protected. Buffer zones need to be set from well-developed karst systems to ensure that the biological and hydrological integrity of karst lands are not adversely impacted. Karst vulnerability mapping and thorough research of subsurface drainage patterns (e.g. dye tracer testing) need to be conducted in the Walbran Valley because the extent of these systems is largely unknown. With a greater emphasis on karst research in B.C., we will gain a holistic understanding of these complex systems and be able to establish progressive karst protection policies. I would like to thank Shane Johnson and Michael Neate for their guidance and wisdom in the field. Your stories and laughter made the Walbran even more special. The chemical reaction between carbonate bedrock and slightly acidic rainwater results in a greater number of free ions present in solution in comparison to non-karst waters, increasing the EC. Karst groundwater’s constant, cool temperatures are attributed to a lack of sunlight exposure and drastic fluctuations in the ambient air temperature (Culver & Pipan, 2009, pp. 3). Culver, D. & Pipan, T. (2009). The biology of caves and other subterranean habitats. Oxford University Press, USA. McColl, K. M., Turner, R.J.W., Franklin, R.G., Earle, S., Stokes, T., David Pawliuk, Houle, J., Guthrie, R., Fox, J., Clague, J.J. 2005: Geoscape Nanaimo, geoscience for central Vancouver Island communities, Geological Survey of Canada Miscellaneous Report 87, one sheet. VICTORIA—Sierra Club BC is extremely concerned about the ongoing absence of government leadership to resolve the conflict over logging in the Walbran valley. As a result of the B.C. 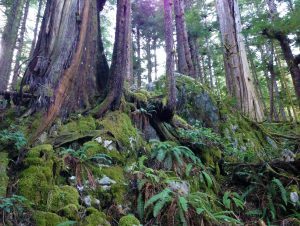 government’s inadequate response to the severity of the concerns expressed over old-growth logging in this valley, the conflict reached a new level last week. Teal Jones sought and received an injunction (since narrowed by the court) and filed a civil suit targeting environmental activists who have been speaking up to protect endangered rainforest in the Walbran Valley. Teal Jones’ legal hardball tactics are outrageous and deliberate attempts to stifle public debate and limit people’s ability to access public land and engage in legitimate, law-abiding activity. The company and the provincial government should take the protest and the concerns of thousands of citizens seriously and seek a solution, not legal confrontation. 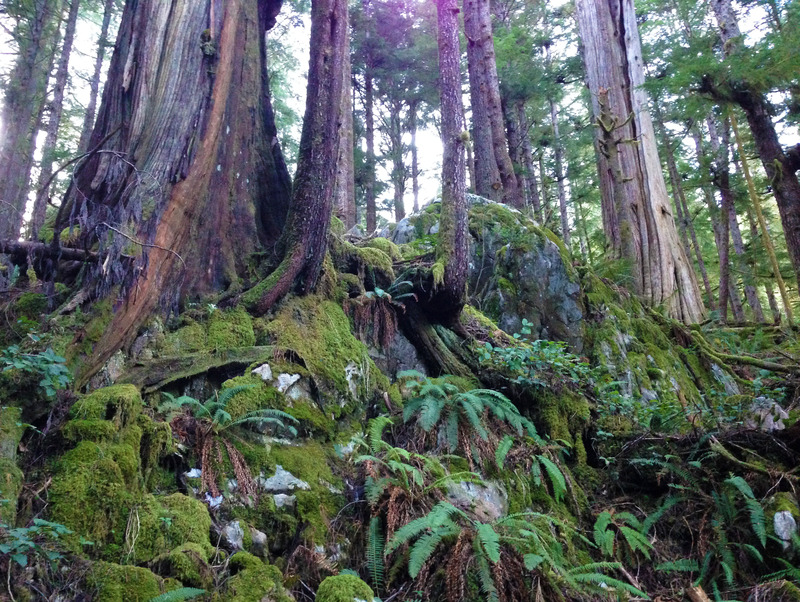 There is overwhelming public support to fully protect the remaining contiguous old-growth rainforest in the Walbran, the only unprotected area with this level of intactness remaining on Southern Vancouver Island. 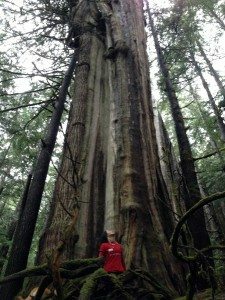 There is also overwhelming evidence that the Walbran Valley represents a unique opportunity to protect a larger intact old-growth area on Vancouver Island, with very high species habitat and carbon values, in an area with fragile karst features that should be safeguarded. “Ongoing inaction by the B.C. government regarding the Walbran Valley is putting outstanding ecological values at risk, while compromising our ability to resolve conflict over resource management in a collaborative manner,” said Sierra Club BC’s forest and biodiversity campaigner Mark Worthing. Assist Teal-Jones with discontinuing old-growth logging and transitioning to second-growth forestry. This story has villains and heroes, a plot filled with twists and turns, and an ending that has yet to be decided by you, the reader. It all begins over 100 years ago, when community designated watersheds were protected as land reserves under the Provincial Land Act. This meant that logging, mining and any other form of resource extraction were forbidden on lands – such as the Alberni Valley’s watersheds – where vital sources of naturally clean drinking water lay. These water protection measures didn’t bode well with the Chief Forester. He paced around his office, brows furrowed deep in thought and then suddenly, he stopped and a slow, Grinchy grin appeared on his face. He had a plan. The early-1980’s were marked by the Watershed Reserves scandal, where the Ministry of Forests secretly transferred public drinking water sources, slated to be protected as land reserves, into chainsaw rippin’, slash burnin’ logging land. Ten years ago, the former mill-town of Port Alberni, B.C., a small community nestled in old-growth temperate rainforests at the head of the Alberni Inlet on Vancouver Island, watched in disbelief as the provincial government axed wildlife protection provisions and lifted logging bans in McLaughlin Ridge. Private lands controlled by U.S. logging giant, Weyerhaeuser, were removed from Tree Farm License (TFL) 44, and placed under the jurisdiction of the Private Managed Forest Land Act. A total of 78,000 hectares under TFL 44, which includes the Alberni Valley, were subsequently handed to Island Timberlands. Approximately 18,000 Port Alberni residents rely on the China Creek watershed, found at the base of McLaughlin Ridge, as a primary source of drinking water. This watershed is shrouded in hectares of rare old-growth Douglas fir forest, which provides natural water filtration and helps to stabilize the slope banks, preventing devastating landslides. The widespread flooding in Port Alberni last December was a harsh reminder of the importance of old-growth forests in stabilizing steep banks. 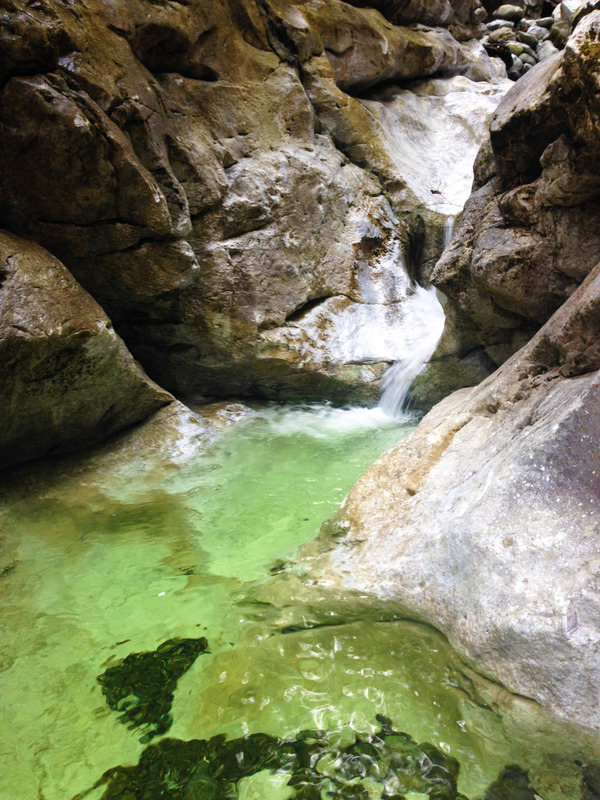 The China Creek watershed is one of the many water systems in the Alberni Valley recharged by karst groundwater. Preliminary studies have shown that there is a hydrological connection between the China Creek Watershed and several karstified and potentially karstified limestone units. This ethereal environment connects the surface with the subterranean world beneath our feet, and it is extremely sensitive to disruption from resource extraction activities, such as clear-cut logging. According to Jane Morden of the Watershed Forest Alliance (WFA), half of the old-growth forests have been lost in the McLaughlin Ridge. Despite its claims of sustainable forest management, Island Timberlands has not created a Watershed Protection Plan. At the beginning of November, a meeting was held to discuss the future of the China Creek Watershed. Parties in attendance included environmental organizations, local government, the Ministry of Forests and the Alberni-Clayoquot Regional district. Island Timberlands skipped the meeting as they stated in an e-mail response that “key” staff members were on holidays. According to Jane Morden, despite claims by a local newspaper that “water quality has improved”, this year residents could detect when their drinking water had been switched to Bainsbridge Lake, (which occurs during times of turbidity in the China Creek watershed) as it has a yellow coloration and a distinct chlorine taste, especially after recent logging in the watershed. By clear-cutting mature forests surrounding the watershed, the free filtration provided by nature must now be administered through a costly water treatment plant in order for Port Alberni to meet the new Canadian 4-3-2-1-0 drinking water objective. Yet, as the dust settles, through the fallen trees, there is still promise for clean drinking water and protection of these magnificent ancient forests. Port Alberni Council has sided with local environmental organizations in the fight to stop clear-cut logging of the old-growth forest in McLaughlin Ridge. A rally was held last summer at Port Alberni City Hall, which brought together local residents, First Nation groups and environmental organizations in the common goal of protecting the China Creek watershed and McLaughlin Ridge. Heartwood Films has produced an informative documentary that exposes the plight of McLaughlin Ridge at the hands of Island Timberlands. On November 25th, 2014, the Our Watershed: a Community in Action forum was held in Port Alberni with guest speakers Bruce Fraser and MLA Scott Fraser. This event, hosted by the WFA, provided an opportunity for concerned community members to become informed and engaged with watershed conservation in the Cowichan Valley. Elsewhere on Vancouver Island, residents and environmental organizations are standing up for their fundamental right to clean drinking water. Community members in Stillwater, British Columbia, concerned about potential logging by BC Timber Sales (BCTS) in their community drinking watershed, formed the Committee for the Protection of Jefferd Creek. With the help of West Coast Environmental Law, a local hydrologist and a Drinking Water Protection Officer, the community was successful in preserving this vital drinking water source for generations to come. I am interested in hearing from residents of Port Alberni and other communities where private, for-profit organizations have majority control over public drinking water sources. If you would like to share your experiences, concerns or suggestions, please comment below or contact me at ccaproff@sfu.ca.